The saying goes that with age comes wisdom but financial problems can be a major problem whatever your age. Financial problems are a worry and most people will come across this hurdle at some point during their lives regardless of how financially astute they are. The worst thing that a person with financial problems can do is to bury their head and hope they disappear; nine times out of ten they won’t and professional help may be needed. The term financial problems can be used to cover a large number of money worries. When you are older and in retirement age these problems may be caused by the decrease in your income as you are left to rely solely on your pension. You could be having problems paying credit cards, mortgage payments, and even simple household bills can begin to mount up. Retirement does bring its own financial problems if you are not receiving an adequate income. Unexpected bills and expenses will not be as easy to pay as they would when you had a regular monthly employment income, and these expenses will now take a bigger part of your income. Taking control of your expenses and managing your money in retirement will now have to be rethought. Retirement does leave you a lot of newfound leisure time but it can be an expensive business, and you may need professional help if you find yourself with money problems. There are many government agencies that have specific branches dedicated to helping the retired and elderly. The professional agencies you can go to will be dependant on the type of financial problems you are having. Financial Problems - Who Can Help? 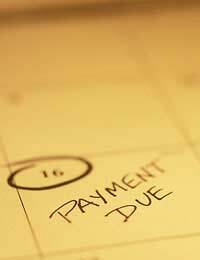 If you are finding yourself with debt problems then there are two agencies that can help. The Consumer Credit Counselling Service and the National Debt Line; both will offer independent free advice on how to manage and cope with debt, and give advice on ways to either eliminate or reduce your debt to a manageable level. Another agency that is excellent at giving independent advice on a wide range of financial problems including extra benefits you can claim, helping with council tax, and managing on your income would be your local Citizen’s Advice Bureau. If you are having pension problems then the Office of the Pensions Advisory Service (OPAS) will be a useful contact. This national office is dedicated to all types of pension problems and their staff should be able to help with any query you may have.The Office of the Pensions Advisory Service - www.opas.gov.uk 0845 6012 923. If you want to know more about your financial rights if you are still working after retirement or advice on pensions and issues such as inheritance tax then you should contact The Department of Works and Pensions or check on the Direct Government website. The Department of Works and Pensions (DWP) – www.dwp.gov.uk 0845 731 3233.Direct Government – www.gov.uk. Another two independent offices that deal with pensions and investments, taxes, and retirement issues are the Financial Services Authority (FSA) and the Independent Financial Advice Promotion. Both have dedicated help lines and a number of helpful leaflets that can be sent. The first step towards finding help with financial problems will be to contact any one of these offices. It may seem a frightening prospect at first, but the staff within these offices are paid to help with these sorts of problems; many are trained volunteers who are giving their time simply because they want to. They will be able to give the best advice and solutions to your financial problems.